Invasives education is part of our new initiative to combat the growing problem of non native plants in our natural areas. We hope to inform the public about the impact of these plants and to encourage volunteers to join us in our efforts to control them. 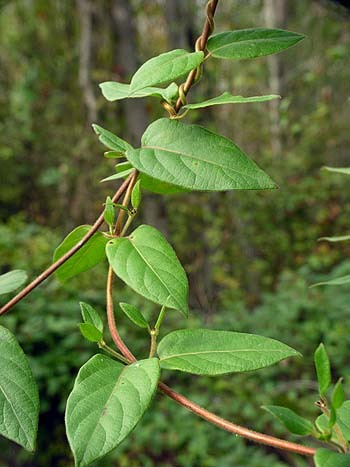 The management of these invasive plants is a key component of the Forest Stewardship Plan. BASICS: Plants, insects, animals taken out of their natural habitat may not have the natural predators and diseases that previously kept their population under control. So they are able to agressively compete with native species for space , light, water and nutrients and spread through the forest displacing our native species. In our area for example deer will browse on native plants and rarely eat non native food sources. Norway Maple - Acer platanoides First brought to the US in 1762, reportedly in the Philadelphia area, this tree is one of the top priority species listed for treatment and removal at Monocacy Hill. This tree produces many seeds and can spread quickly displacing native trees and hindering understory growth. It is very similar to the sugar maple, but has a shiny underleaf and milky sap. 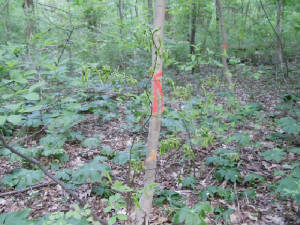 Tagging, removal and treatment are planned to control the further spread of of Norway Maples. Following the recommendations in the Forest Stewardship Plan, our first professional treatment on invasives took place this spring in April when Amity Township hired ECOBOUND, INC. to spray some of the larger Norway Maples at the Hill. Smaller ones are being removed by our volunteers. 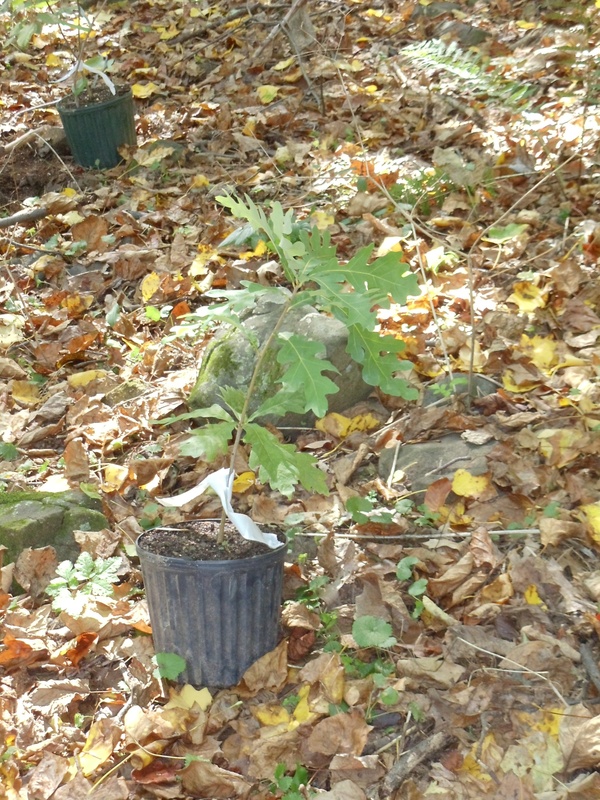 This fall our volunteers have been replanting these areas with native tree seedlings such as White Oak, Red Oak, and Ash. A SPECIAL THANKS TO THE CUB SCOUTS FROM PACK 597 , Amityville, and their troop leaders and parents for their help planting tree seedlings in October of last year. The Tigers, Wolves, Bears and Webelos did a great job and planted over 200 trees that day. GREAT JOB GUYS!! !